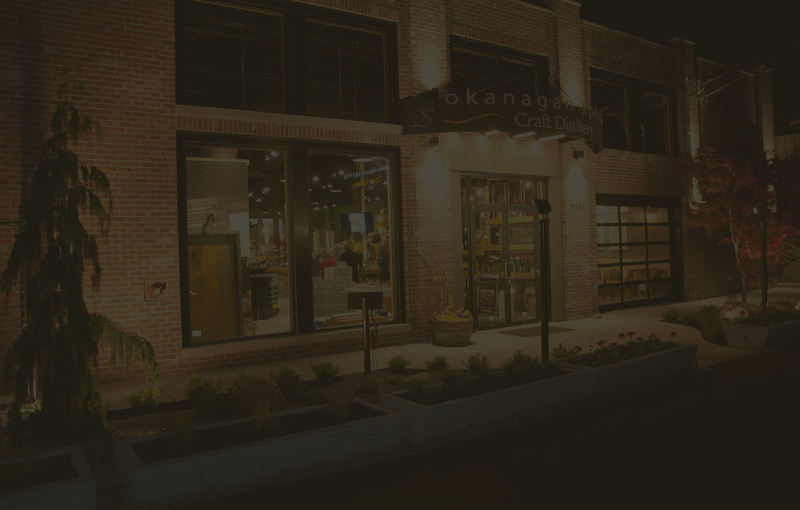 To the Okanagan Spirits Family, 100% BC Craft Gin means starting with locally grown grains and fruits to carefully create an ultra-premium spirit that tells a story of the local terroir. 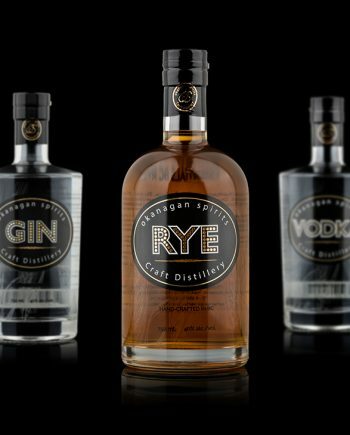 From careful cultivation, through to the attention to detail in the grinding, milling, ferment, botanical maceration and distillation, we believe in doing everything on-site, to ensure that we control and monitor every part of the process. 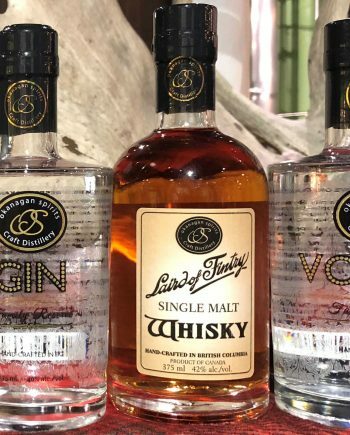 To give our community of Gin enthusiasts more than just one option, we have created two fundamentally different 100% locally crafted gins to choose from. 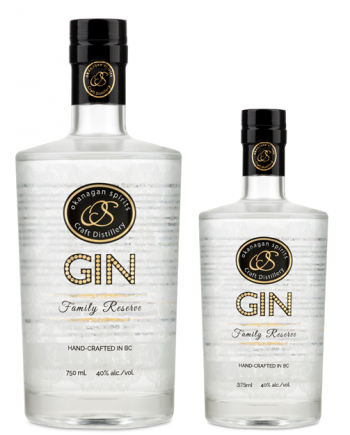 For the traditionalists out there, we present our Essentials Line Gin. 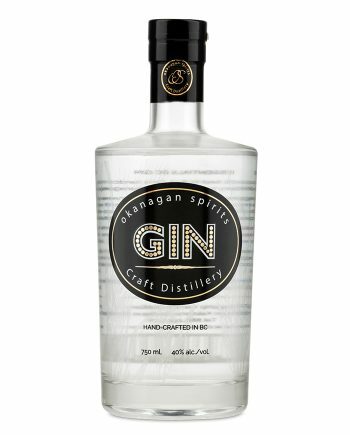 This ultra-premium Gin starts its life in the field, and has our locally grown grains as it’s base. 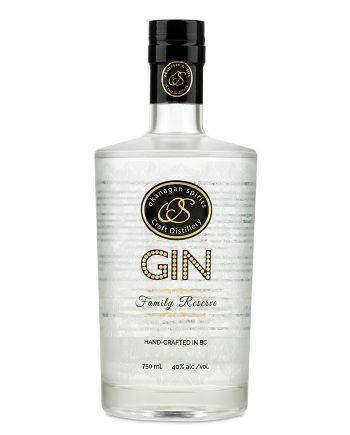 And for those gin connoisseurs who are looking for something uniquely Okanagan, we offer you BC’s Original apple based gin, our Family Reserve Okanagan Gin. 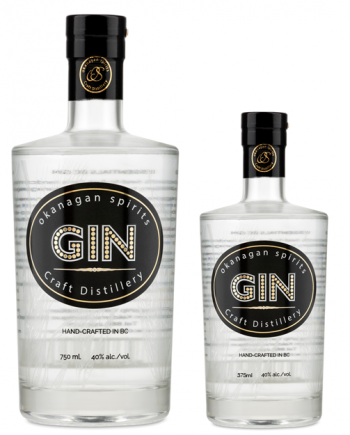 This amazingly smooth gin is born in the orchard, and has local Okanagan apples at it’s core. 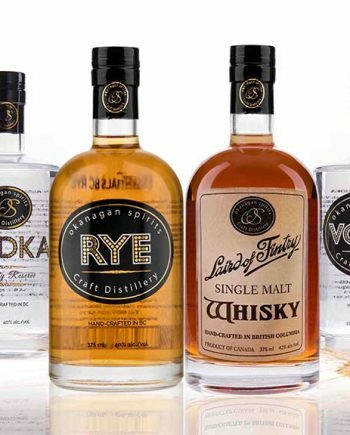 These amazingly smooth spirits are both distilled to the unparalleled level of 96.4% alcohol in our state-of-the-art 50 plate Copper Pot Still to achieve absolute purity. We then add our secret blend of botanicals and then re-distil in our flavour still to allow the true magic of the gins’ essence to shine through. 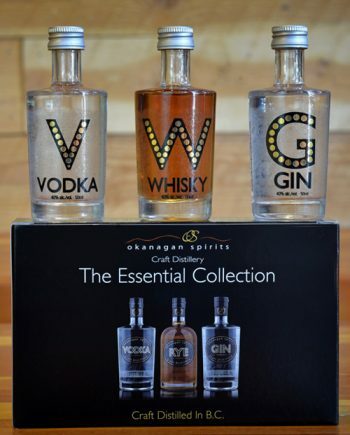 We confidently invite you to experience the essence of the Okanagan Valley expressed in our two ultra-premium Okanagan Valley Gins.